I'm one of those people who is always in their own thoughts. I don't mean to but I'm really comfortable there. I enjoy ruminating over life and the many situations that come my way. All of my actions and decisions are derived from my thoughts so it's the place I spend most of my time. Sounds weird, right? Basically, I'm a thinker or an over thinker. I've been known to over analyze something to the point where I am paralyzed. Unable to act due to fear mainly. It's the fear of not knowing and so I continue to breakdown something until I know it but the truth is that I never really know it. As confident as I would like to be I never really know when it's time to step out. When it's time to take a gamble and do something new. It's always a faith walk. I guess you could say my pondering is my defense mechanism. When in doubt I just think. Think about what I should do, what I won't do, what I may do and why may I do it. It's actually quite arduous. The simpler thing would be to just do it. (Thanks Nike) That's sort of how this blog came to be. I honestly knew I wasn't ready to launch it, I hadn't prepped the material. I ideally wanted to have weeks of material prepped and ready to go at a moment's notice. I wanted a marketing plan and blah blah blah yada yada yah. My mission statement is anything but spectacular. However I knew that if I didn't just launch this blog then it may just become that one thing I was always talking about but never really doing. I couldn't let that happen. Trust me I have a whole pile of those ideas, inventions, creations, scripts, businesses lying around and I didn't want this blog to be one of them. So I started it. I had an idea for one post and I wrote it. (insert smile) That makes me happy. I accomplished something. I even feel a little warm and tingly on the inside thinking about it. And I guess that's what the power of now feels like. It feels refreshing and contagious all at the same time. I'm glad that I did it but now I want to do something else to keep up the momentum. Sort of like when I work up the courage to work out after a really long time (and I do mean a really long time) and once I realize I'm not going to die and I kind of like the feeling once I am finished that's what the power of now feels like to me. It's a movement. I've never read Eckhart Tolle so this isn't a shout out to him or his book. Actually I had finished jotting down a few items that I want to focus on in the year 2015 and thought "Hey Amber!, let's go ahead and write another post" and then I asked "Now?" and then I did it. Ultimately I want to live in the now. Free from the mistakes of yesterday that sometimes haunt me as well as detached from uncertainty of the future. I want to settle into the comfort of the present moment. All I know is what I know right now. No longer waiting for the right moment but trying something now. I feel like that is what 2014 was about for me. I made some big leaps. I quit my job which was a process (I'll write about that at some point) and started a new job. I spent more time doing the things that I loved like writing, modeling, cooking and crafting. I spent time with good people and ate delicious food and even tried some new things. For me I had to jump out of my comfort zone. I couldn't allow myself to think too much because if I did you wouldn't be reading this right now. (See what I did there) Okay yes I'm corny. Anywho I want to encourage you to do something now. Right now. If you want to start a business, do it right now. If you want to start a blog do it right now. Take action. 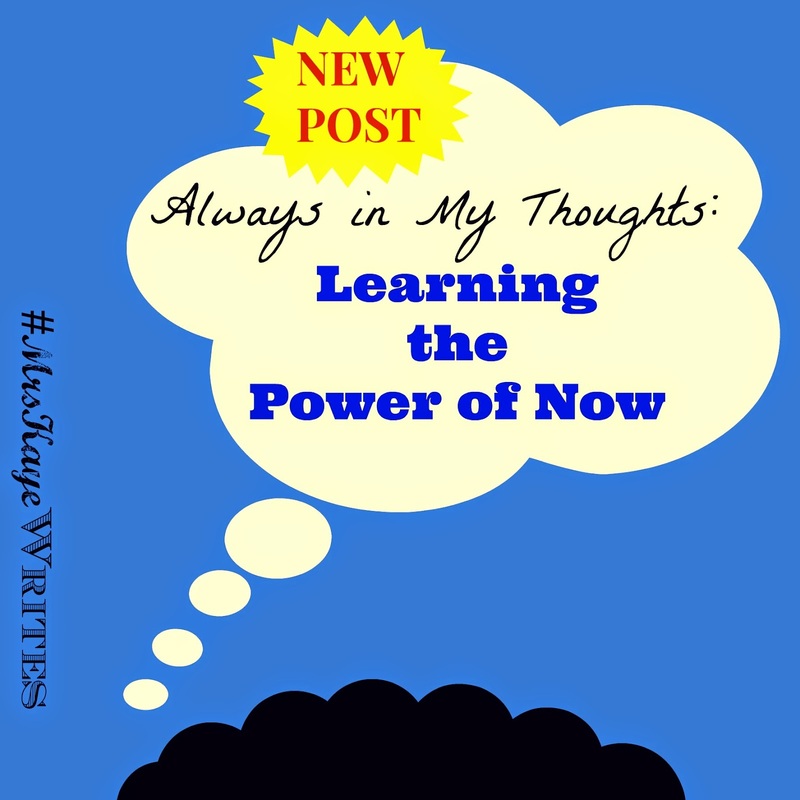 Don't wait for 2015, use the power of now.